As you might have seen in our last post, this month’s Pie Club marked one year since we began our pie obsession. Can you believe it?! We observed this momentous occasion by finally doing a few things: we bbq’ed in the park and devoured TWO pies—because the more the merrier. 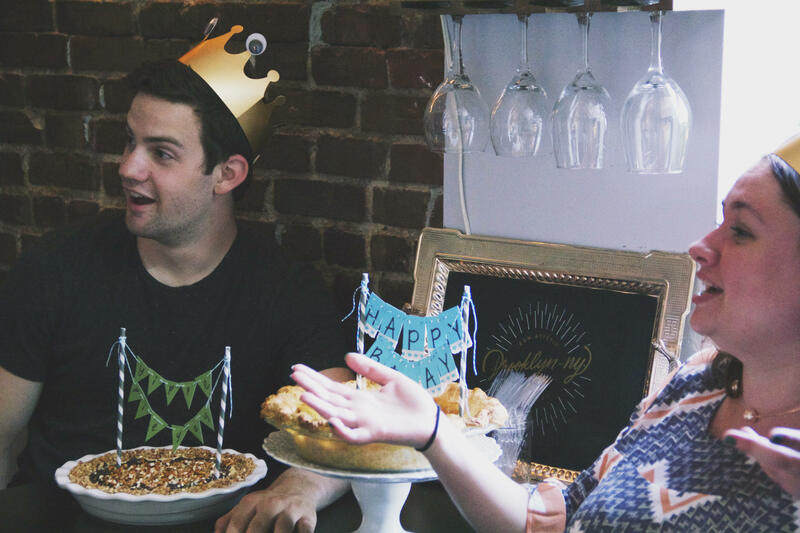 In celebration of the original birthdays that began this entire adventure, we toasted to Allison and Connor—two dedicated friends who have yet to miss a single pie. With summer winding down, we gave up on those bikini bods and opted for a two is better than one mentality. Allison selected the complex and sophisticated Cinnamon Apricot Pie while Connor drooled over the Trifecta Pie (loaded with pretzels, peanut butter, and chocolate. Oh my!). You know what they say…like person, like pie. Keep an eye out for next month. 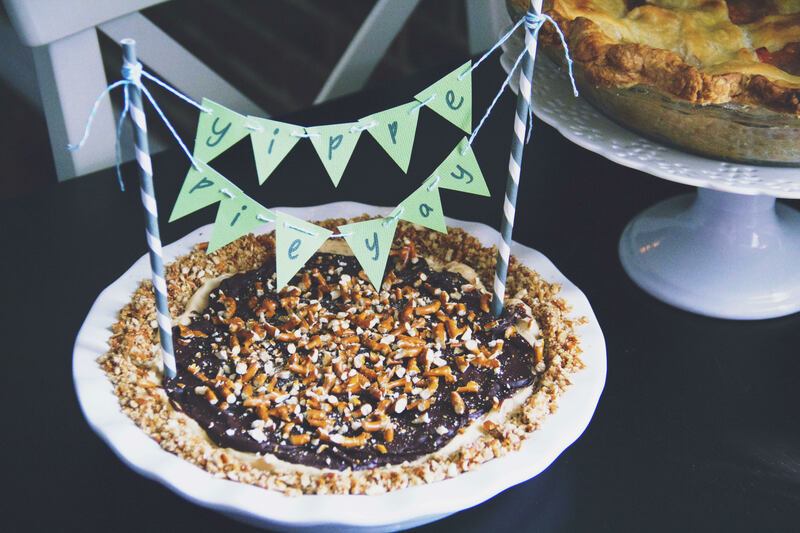 We have no idea what we’re doing, but if I were to go out on a limb: it will probably involve pie.